Toshiba is one of the kings that controls the market. Its TIC Power Electronics division has been cranking unbeatable services for the past 25 years. The engineers at Toshiba has successfully created a wide range of UPS solutions and accessories. Known for its brilliance in innovating how data centers, telecommunication, retail, healthcare, broadcasting, and industrial applications work, Toshiba continues to be a top-leading brand globally. Establishing a solid line of variable speed drives in the market since 1981, TIC increasingly grows together along with the demands of the consumers. The engineers aren’t taking second best as the option, Toshiba made sure to follow only the most rigorous standards in order to exceed the competition. It’s ideal for any industry, usage, application, and working environment. Most of their high-end, premium speed drives are built in TIC’s Houston headquarters. The products are engineered, manufactured, and designed by the professionals in the business. In order to maintain their credible reputation, they permit efficient feedback from their clients regarding on the drives’ outlook. Toshiba is producing one solid line of drives, they have incorporated the idea of innovation and technology perfectly. Their drives use an advanced real-time communication feature, and at the same time, it has been equipped with embedded dual-port Ethernet. Taking convenience to a whole new level, there’s no need for other devices to be used just to get it kicking. Straight out of the box, it’s ready for action. The variable speed drives meet the standard of Internet of Things (IoT). Additionally, it holds Industry 4.0 automation. Delivering incredible results, it holds all of the necessary application for the consumers. TIC opened up the market for electric motors back in 1970. Since their early years of production, they have been meticulous in every product detail before releasing their items to the market. This daily practice of TIC has led them to become one of the most reliable companies in the world when it comes to electric motors. Due to their drive of wanting the best for the costumers, they have decided to upgrade their game by widening their range of voltage motor. 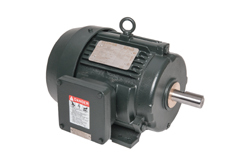 Currently, they are able to cater from low to medium voltage motors. These motors are have been designed by the experts in the industry to endure any harsh applications in the work environment, making a higher standard for performance and durability in the field of electric motors. Their motor design usually sports an enclosed fan cooled line. This ensures to make sure that your motor is safe from any interior explosion. It saves the environment from the motor’s gases and vapors as well. Perfectly meets the needed requirement for UL- and CSA-Listed Hazardous Locations due to the robust construction of the motor, intended to offer a better performance both for indoor and outdoor. TIC’s takes customer service to a whole new level, its manufacturing plan allows the customers to order a customized voltage motor to meet their specific applications, such as IP rating, construction, bearings, and jacking holes. Please call us! We would be happy to hear from you and we love to answer any questions you might have about our current products or services; industrial machine servicing; line boring equipment; Pumps; Welding Products & Supplies; Spray Nozzle Systems; Electric Motors and Controls; Pelican Cups; Air Logic Controls; Hose Reels; Hydraulic Pumps; Pneumatic Compressors; Specialty Welding; CNC Parts, and many more services than we can list.